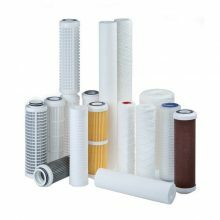 Water filters are essential for removing sediment, suspended particles and other unwanted impurities leading to improved quality and taste in drinking water. 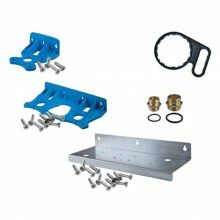 These filter systems can be used in domestic or commercial applications. 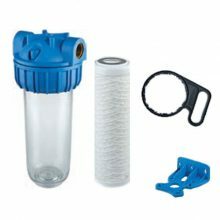 We offer a range of complete ready-to-go water filter kits as well as filter cartridges, filter housings and accessories in case you need a replacement part. Typical applications for our water filter systems include the filtration and treatment of stored/re-cycled rainwater or well water for use in domestic properties. 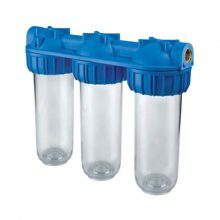 For a full water purification process we recommend using a UV Sterilisation system as well as a standard Filter system. UV systems are designed to provide a higher level of water treatment destroying up to 99% of micro-organisms which standard water supply treatment methods are not guaranteed to protect against. We offer a range of Integrated UV Sterilisation Systems which combine both methods of water treatment. If you intend to use a separate UV Sterilisation system, please be aware you must filter down to 5 microns before a UV Sterilisation unit. To choose the correct filter you will need to know your water quality and flow rate. You can then choose the correct filters and the corresponding housing. If you need any help in choosing the right product the please call or email us.